Glam up your girlfriends' and your bookshelves and coffee tables with old favorites and new bookstore finds. While we adore fashion chick lit like The Devil Wears Prada, the reality is that fact trumps fiction: It takes the enigma out of the world of fashion yet retains all of its magic with tales of real-life hits and misses. It’s ten times hilarious, 100 times more shocking, and 1000 times more inspiring. After all, it ain’t just “based on a real story”--it is the story. 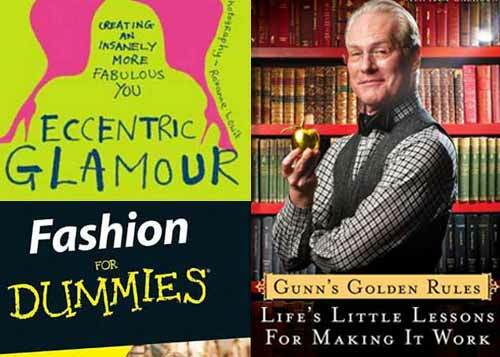 Whoever said that making fashion your raison d'etre signifies extreme shallowness, well, should read how these books came about--through sheer ambition, hard work, and perseverance (albeit frequently fueled by desperation). But our personal favorite: the story inspired by a mother’s passion for fashion. Aptly titled My Mother’s Clothes, it’s a daughter-to-mom love letter that seeks to understand one’s parent based on what (and why) they wore during their lifetime. Browse through the gallery for a gist of why these books--old and new--made it to our fashion lit list. Have you read any of these books? Thinking of buying one or two as gifts for your book-loving, fashionista girlfriends and yourself? Tell us when you comment below what you think of our picks.